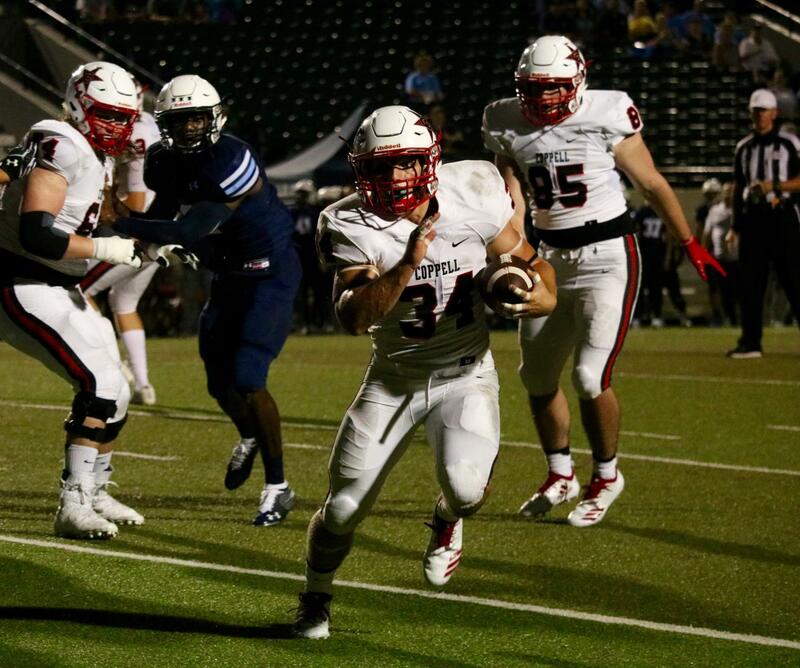 Coppell High School senior running back Ryan Hirt runs past Blue Raiders players on an outside run. The Cowboys defeated the Blue Raiders, 41-7. BEDFORD-After an hour and a half delay due to rain, the Coppell football team finally kicked off their first road game. 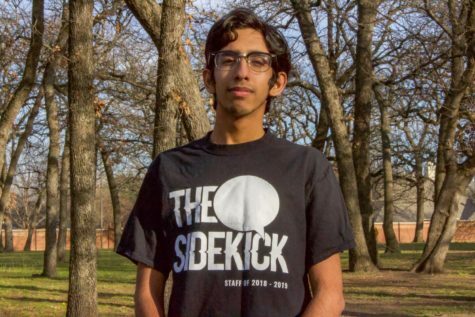 With an interception for a touchdown from senior cornerback Josh Williams, the Coppell football team built a 41-point lead going into the fourth quarter against LD Bell. The Cowboys (2-0) rolled past the Blue Raiders (0-2), 41-7, on Friday night at Pennington Field. The Cowboys showed dominance on both sides of the ball, as they prepare to keep this momentum for next weeks big game with Allen on Friday night. The Coppell offense led by senior running back Ryan Hirt finished the game off with three touchdowns and ran for a total of 192 yards. However, the 200 rushing yards by the Cowboys was not purely to the credit of Hirt. The Cowboys offensive line was able to make huge holes which lead to the success on the offense. The Coppell defense held the Blue Raiders scoreless late into the fourth quarter. The Cowboys defense improved from last weeks game against Sachse, as they were able to put pressure on the quarterback and make big plays in the backfield. The defense was also able to put points on the board with two for touchdowns in the third quarter. Along with a recovering a botched field goal and a fumble to help push the Cowboys past the Blue Raiders. Coppell hosts the defending Class 6A state champions and currently, No. 1 ranked Allen on Friday night at Buddy Echols Field.